This is a great list. I also recommend Jane Grossman’s A Bittersweet Season and Roz Chast’s Can’t We Talk About Something More Pleasant to many caregivers. Their blunt, honest recount of caring for aging parents offers some solace and wisdom. Thanks for the comment and for sharing these recommendations. Yes, those two books are very good, as are many of the memoir-type books about caring for older parents. I am wondering if there is a good group calendar to share with everyone who I have to come care for/visit with my mom? As she cannot remember the schedule and often overlooks the appointments when booking other things or when friends come to visit. Currently she has someone come at least 4 days a week, PT, speech therapy, a caretaker to take her out for several hours. I worry that they might overlap when rescheduling. Good question. I think you could use a Google calendar for this purpose. You could also try the calendar feature in Carezone. I think the catch will be getting these various professionals to look at your mother’s calendar when they are scheduling. You could perhaps tell them they need to be proactive about asking your mother if they can look at her calendar when they schedule a time. You will also need a way to get the new appointment into her calendar; if the professionals email you the appointment, you can add it to your mother’s calendar remotely. Let us know what you figure out, if you can. 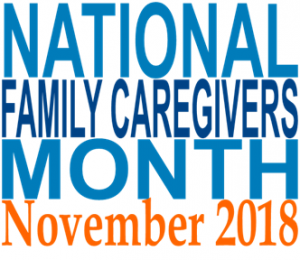 Another wonderful resource in my area was the Riverside County Office on Aging which had caregiver workshops and support groups. Check with your county office to see if they offer similar programs as they were invaluable and provided much needed support. Thank you for sharing. Sounds like this may have been your local Area Agency on Aging. These can indeed be very helpful. Readers can find their own local Area Agency on Aging via the directory at Eldercare.gov.